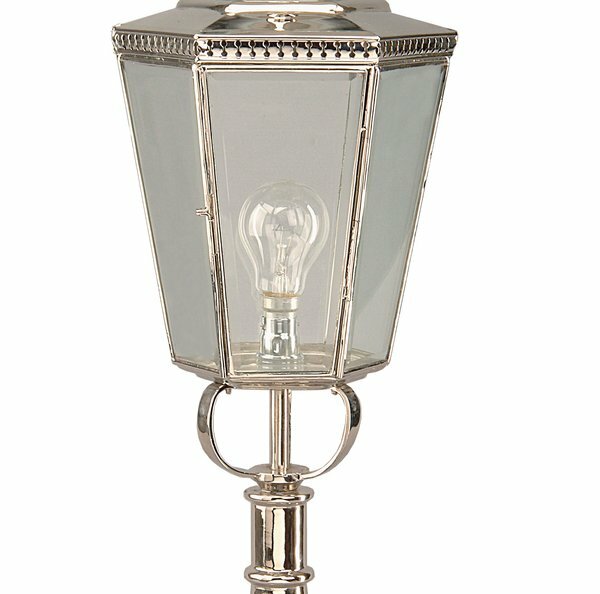 The Chelsea nickel plated Georgian period outdoor pillar lantern, with heavy detailed solid brass pillar, hexagonal lantern and clear lantern panels, handmade to the highest standard. Rated IP23 and suitable for exterior use. 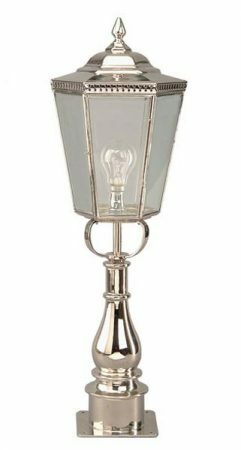 This post top lantern has been hand-crafted from solid brass, degreased and deep cleaned. 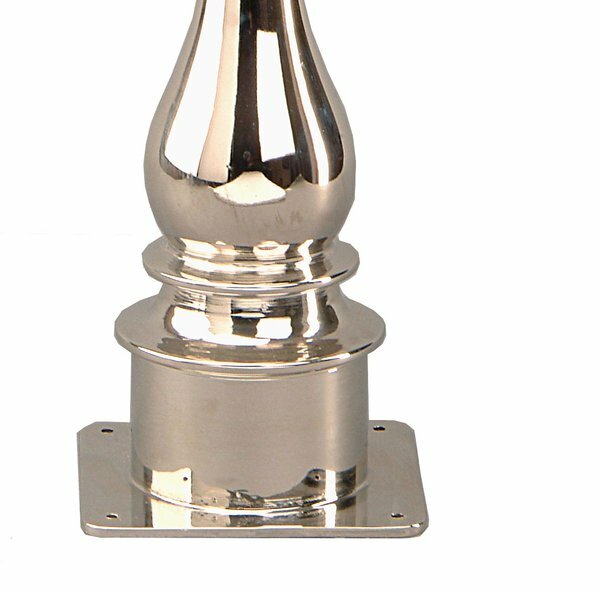 It is then electrically charged and dipped in a nickel solution causing the nickel to bond with the surface creating a tough nickel plating. It is then highly polished and left in its finished state. When used outdoors, the nickel plate will dull slightly over time but can easily be brought back to its original finish by using a fine metal polish or left in its weathered state. 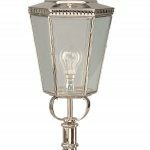 Each reproduction outdoor wall light is handmade, making every one unique. As these are made to order, please allow 4 weeks for your delivery.